The grand 155th PETROF anniversary celebration took place on April, 7th, and 8th. It was organized for our business partners, artists, and suppliers. 150 participants came from 50 countries from around the world. 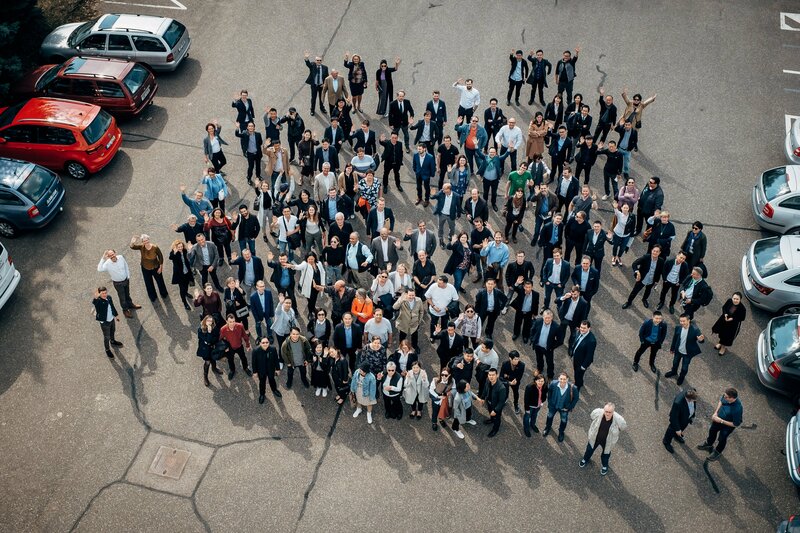 The celebration started on April, 7th in the afternoon with a few words from the company executive Susan Petrof followed by a presentation concerning tech news and innovations. Next on the program was a tour around various checkpoints placed throughout the PETROF Gallery. Upright pianos Walnut Root , Tiger Wood , and Stingray grand piano were the highlights of the checkpoints due to their uniqueness and were given a lot of attention from most visitors. There was also familiarization with the Pianoteq system which provides a physically modeled virtual PETROF instrument. In the grand piano hall, there was an ANT. 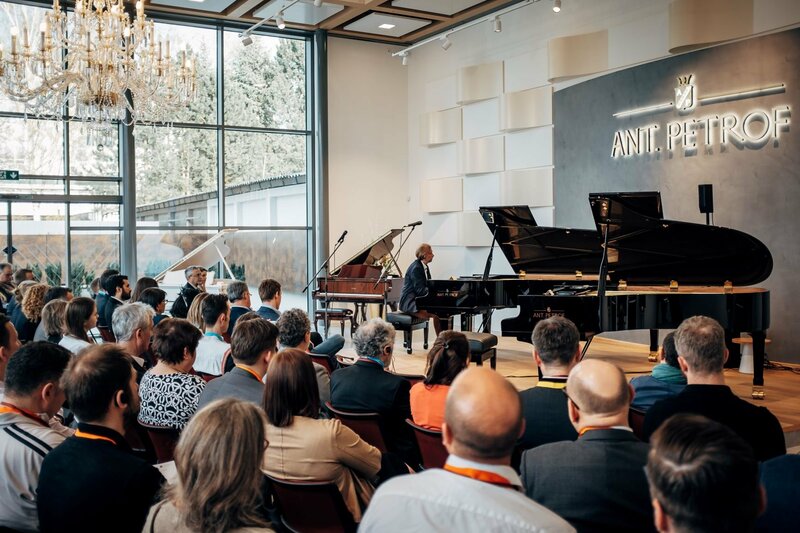 PETROF instrument presentation shown by Ivo Kahánek , a great Czech pianist and a member of the PETROF Art Family artist association. Our guests could try out the AdSilent system. It allows the performer to play the piano without causing disturbance to others. After turning on this device, the sound of the piano can be heard in the headphones only. 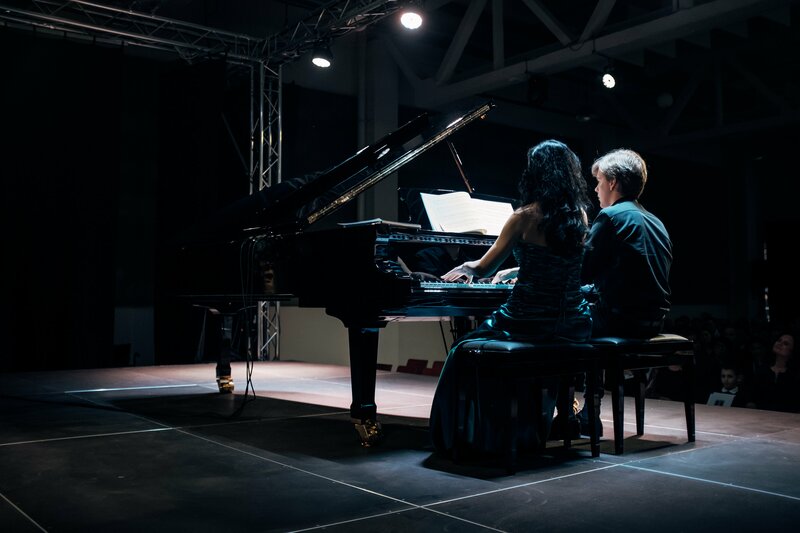 A concert of PETROF Art Family members, Matyáš Novák and Jitka Fowler Fraňková , was the climax of the evening with their four hands version of Smetana’s Vltava. The next day started with a manufacturing tour. 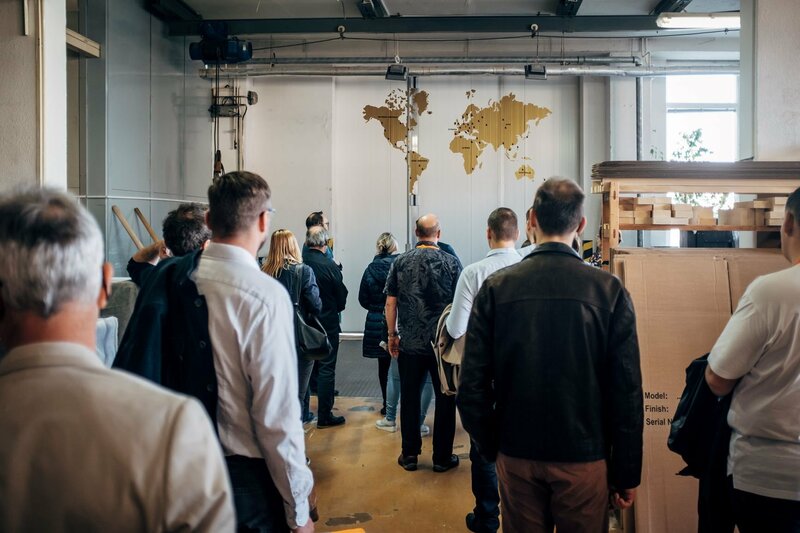 Our visitors had an amazing opportunity to see, with expert commentary, how pianos are made from the beginning to the end, from the initial processing of the wood to a piano voicing. Our quests saw an anechoic chamber, in which the acoustic measurements are done in order to achieve the perfect sound quality of the instruments. In the PETROF Museum, there were unique historical exhibits and an acquaintance with the Petrof family history. 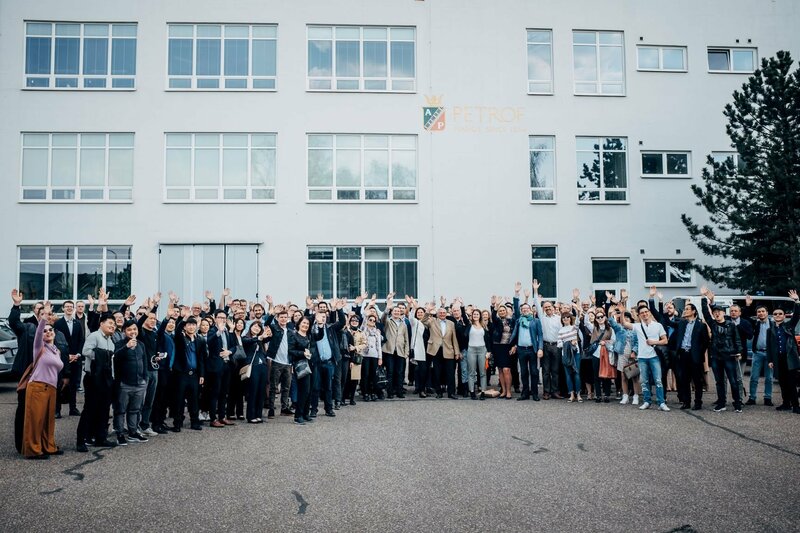 A marketing - sales strategy presentation was preceded by a lunch in a PETROF Gallery and succeeded by all participants photography. Monday evening was accompanied by a swing concert of another PETROF Art Family member, Jan Smigmator , whose performance had a standing ovation. Thomas Záruba , a French man with Czech ancestors, is the last PETROF Art Family member who attended the evening. The 155th PETROF celebration continues in June with a party for the PETROF employees. September 7th will be an open day for the public. Press release issued for the occasion of the company’s anniversary can be viewed here: word , pdf , photo1 , photo2 , photo3 , photo4 , photo5 .